I know some people cringe at the thought of green juices or smoothies but they’re actually very good for you and when made with the right ingredients they can be super tasty too! It sounds weird but I just love the Whole Foods “Kalelicious” smoothie to the point that I had to drive to Whole Foods to cure my cravings for it. But, thankfully, I came to my senses and decided to try it at home. 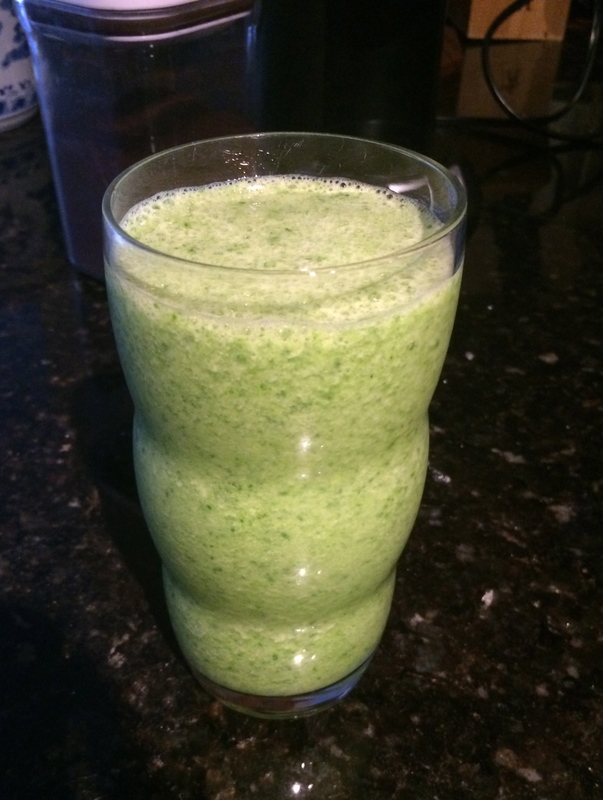 It was really easy to make and tasted just like the Whole Foods smoothie. After a few times, I changed the ingredients as well to make it even easier for a quick breakfast on the way to work. The Whole Foods version uses apple juice (at least they do in the store here) so the first time I made it I actually juiced a whole apple with my juicer and used that instead of apple juice that contains more sugar. 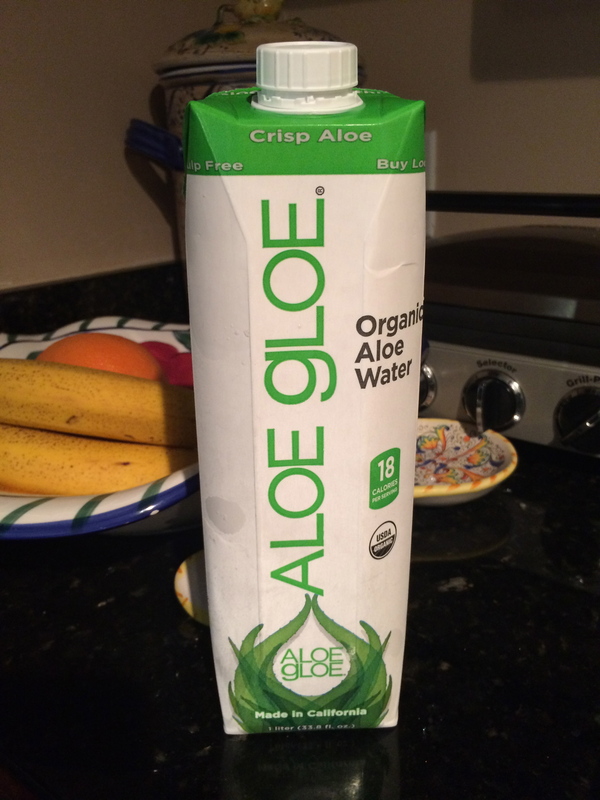 However, this process took longer and I needed something quick for the mornings, so now I use a cup of Aloe Gloe Organic Aloe Water instead of apple juice and it tastes great! Also, this recipe works great if you don’t have a juicer. Once you start making it, you’ll see that you can definitely alter the ingredients a bit. For example, you can opt for more kale (to make it more green) and maybe toss in some some chia seeds. 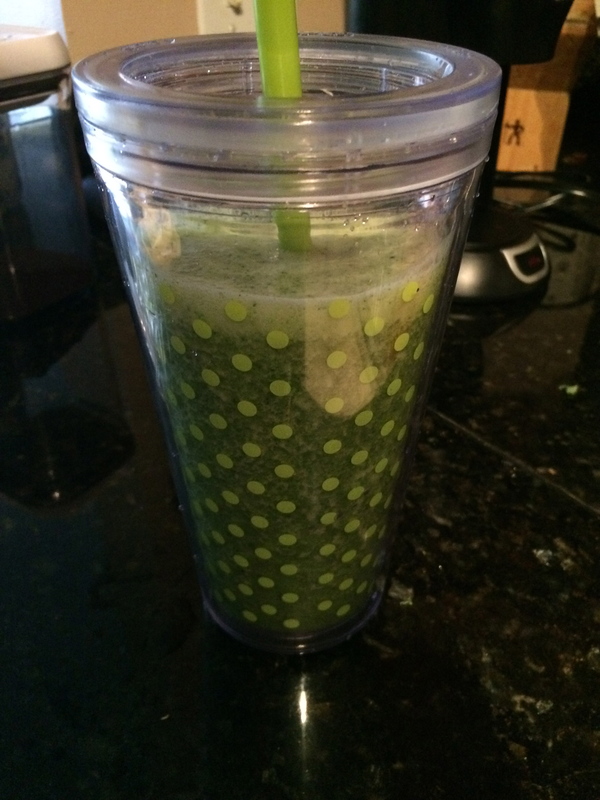 These days my blender has become my best friend for fast and on-the-go breakfasts.